Properties in Ibiúna City average 4.8 out of 5 stars. Site with horses and lake for fishing. Great location. Property 3: Site with horses and lake for fishing. Great location. Wonderful house located in the Waters of Itupararanga Dam, Ibiúna-Sp. 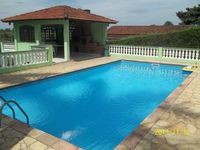 Property 10: Wonderful house located in the Waters of Itupararanga Dam, Ibiúna-Sp. Property 16: Wonderful, Sitio Recanto dos Sonhos, great accessibility, Ideal for Family. Beautiful and cozy, for family and friends, quietness and security of condominium. Property 20: Beautiful and cozy, for family and friends, quietness and security of condominium. Property 25: SAILS OF IBIÚNA. BOOK AT THE ATLANTIC MATA JOY, PROMOTIONAL PACKAGES. Property 28: Sitio Bethel - Your campsite for holidays! Linda Chácara in a gated community, beautiful view !!! Property 48: Linda Chácara in a gated community, beautiful view !!! Pra quem deseja paz, sossego, curtir a natureza, indico o S&iacute;tio Beija Flor! Adoramos!! Foi muito bom!! Tem v&aacute;rias op&ccedil;&otilde;es de lazer (piscina, lago para pesca, campo de futebol, sal&atilde;o de jogos, churrasqueira). E a casa &eacute; muito agrad&aacute;vel! Recomendo!! 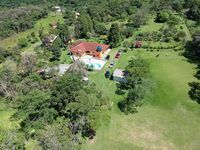 Casa muito confort&aacute;vel, bonita, limpa e organizada, um bom espa&ccedil;o para lazer,nos divertimos muito e esperamos voltar em breve, agrade&ccedil;o pela estadia, pela simpatia da dona Agnailda e dona Maria, muito atenciosas.Recomendo a ch&aacute;cara.